An update on a Turners Falls boarding house that was condemned in October, and an interview with a former tenant who finds herself homeless. 22 News meteorologists talk weather with fifth graders at Gill Elementary. Montague Center residents gather to learn more about the nuts and bolts of their water district. A writer and storyteller shares memories of the Civil Rights era. 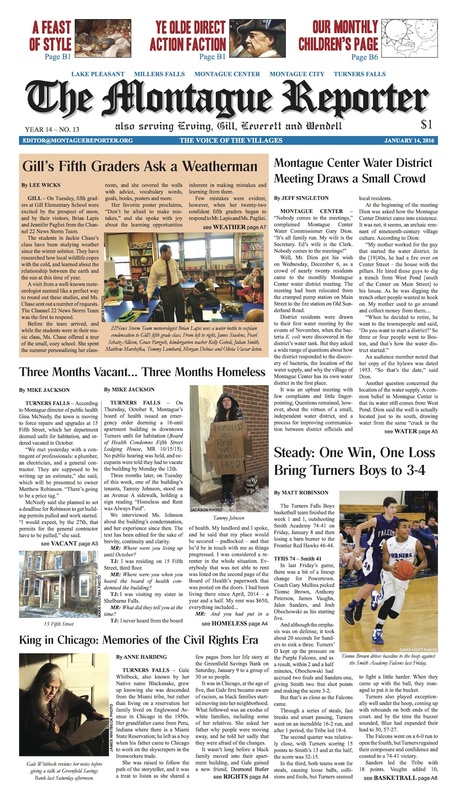 We’ve got selectboard coverage from Montague, Erving, Gill, and Leverett, as well as notes from the Gill-Montague School Committee and TFHS basketball results. And, a Turners Falls artist is featured in Stoneleigh-Burnham’s Winter Art Exhibition. MoRe: Our Children’s Page is back! Plus: a look at how Shay’s Rebellion played out in our towns. A local painter channels the Dutch masters. West Along the River finds comfort in January’s cold. 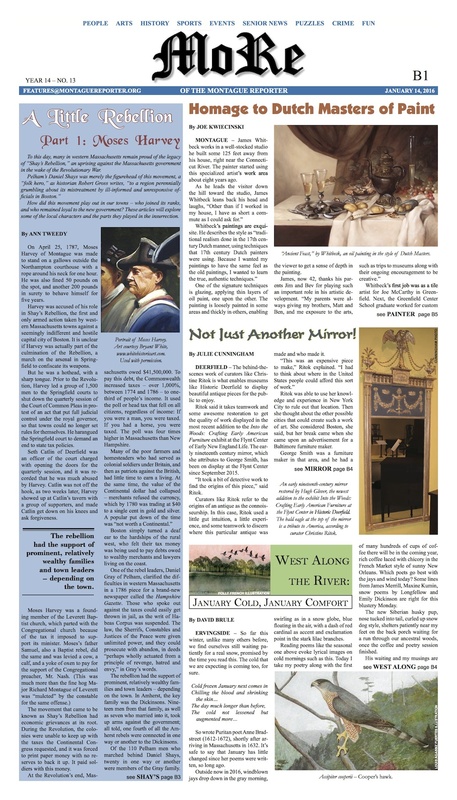 Learn about a special mirror at Historic Deerfield. Got diarrhea? The Healthy Geezer has suggestions (disclaimer: he is not a doctor). Great Falls battlefield grant scholars share their initial findings with the public. Another Phantom Erratic is set to delight at the Brick House. A mangy coyote graces the Montague Police Log, while Erving police deal with emergencies, hazards, and animals. There’s more, much more — pick up your copy today!